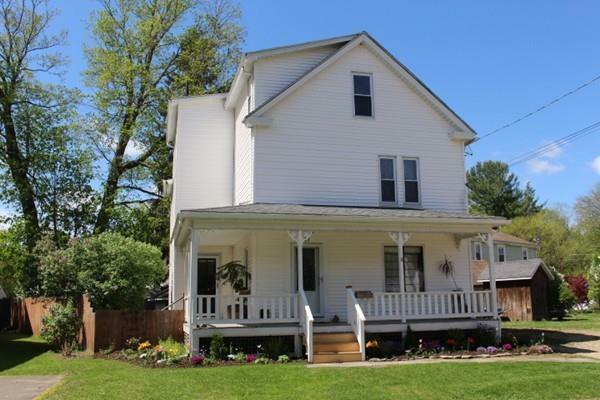 Come home to this beautifully built Classic New England Farm House on a quiet street. Minutes to Florence Center and Bike Path. Ten minute drive to Look Park, downtown Noho and highways. Brand new kitchen was gutted to the studs in 2016. New appliances, quartz counters and fir flooring. Sunny living room, spacious dining room, full bath and laundry complete the first floor. Three bedrooms with deep closets and another full bath are on the second floor. All turn-of-the-century details have been restored to their original charm. Pine and fir flooring throughout. The third floor which is 25x18 has been dormerred, insulated and plummed and ready for finishing. The back yard is fenced, private and sunny. Two car garage or possible workshop. New windows and insulation for energy efficiency. Updates include new heat, updated electric, concrete basement floor, new kitchen, baths, some ceilings and doors . This house has been beautifully maintained. Be part of the thriving Village of Florence!